Slip, slop, slap say the Australians. The sun as we all know is a powerful force, and wearing a hat is a smart move both on a practical and stylish level. 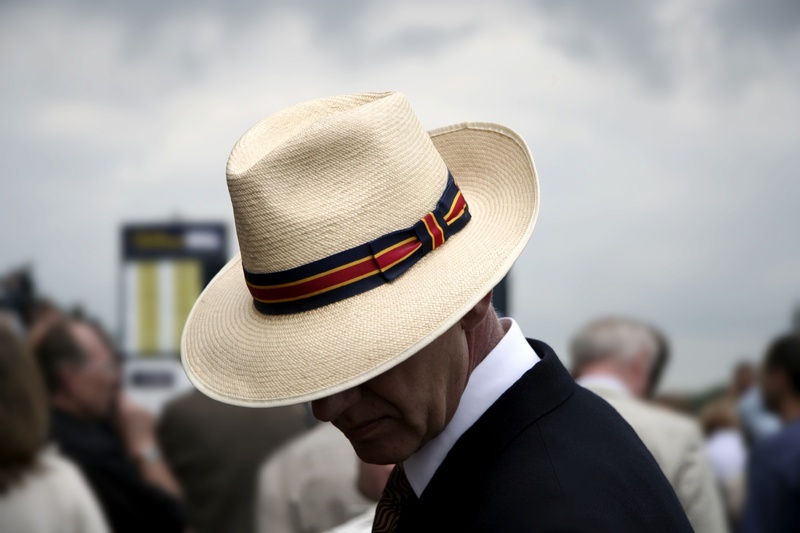 The Panama hat is to summer what strawberries are to Wimbledon or Pimms to Henley. It transcends the years and is the epitome of Britishness. However, Panama hats originally came from Ecuador rather than Panama as the name suggests. In the 19th century during the construction of the Panama Canal the workforce started using Panama hats as protection from the sun. This is where the name first started to take hold and has never been changed. Panamas are woven from the toquilla plant. Otherwise known as the Carludovica palmate, this is not in fact a true palm. Its leaves are different to the extent that it does not develop a woody trunk. Cultivated in central America to Bolivia, it is soft, flexible and durable – the perfect characteristics to weave a Panama hat from. These hats can take over a week to weave, and for the very fine Panamas this process can take up to five months to weave. While there seems to be something rather authentic about buying your Panama hat abroad, London plays host to a number of places that promise the best. Notably Locke & Co on St James’ Street, (as always, and for all types of hats), and Bates on Jermyn Street. Both are a delight to visit. This is important not least for comfort, but also for the way it will sit on your head. Too small for your head and you will have a hat resembling something that JR Ewing might have worn. Too big and you’ll look like you’re wearing your father’s when you were a child. Get advice is the advice here. When you are buying from a luxury retailer, you are paying for the service as well as the product. Firstly, if you have a one that does roll up, make sure you roll them and not fold them. They might be flexible but if you scrunch them up in your bag, you will damage the weave, leading it to crack. If you are travelling then roll them up, as soon as you’ve reached your destination, unroll it. The longer you leave it rolled the harder it is to regain the shape. If the hat is one that does not naturally roll, then the best thing to do is stuff the hat with your underwear and socks until it fills the head. Turn the hat upside down and put it in your suitcase with other soft yet supportive clothes around it. This is the best way to getting the hat from A to B while maintaining its shape as well as possible. REMEMBER that the straw is brittle, so in order to manipulate it you need to humidify it. Whether you are at home or in a hotel room, you would have the tools. Steam from an iron or a boiling kettle will help soften the straw and reshape it. It also helps in reshaping it the other end. Panama hats will have “the pinch” which is the point at the top of the crown that you grab to place the hat on your head and take it off again. Don’t pinch it too much as it is the first point on the hat that is most likely to crack. Ideally its best to pick the hat up by the brim or by cupping the crown in the palm of your hand. Stuck in the summer rain? Remember that it is a summer hat that has the purpose of protecting you from the sun. It isn’t a rain hat, but as we know, we all get caught out once in a while! With too much moisture, the hat will loose shape. Mould the hat back to its original shape as best you can and let it dry naturally. If the brim is badly misshapen you can give it a very quick iron on a very low heat. However, please do not make the mistake that you can iron at a higher heat and until the hat is dry. If you do that you’ll take the damp cloth away and discover some impressive burn marks to savour. While everything cools down and dries out place it on an upside down bowl from the kitchen! Being the colour that it is, a Panama will show any dirt that it picks up. To clean it, try to clean it off with a dry cloth. If that doesn’t work, then try a moist cloth or wipe but no soap. This should do the trick, but while you’re doing it make sure you don’t rub it too much – again that would damage the hat. If all this sounds like a nightmare to maintain, well it’s not. What it is, is worth it and a staple for summer!